A family friendly atmosphere is created where no alcohol is permitted and smoking is not allowed inside the beautiful 50 x 100 square foot entertainment facility which seats an audience of up to 400 people. Admittance to most events is only $6.00 per adult with accompanied children under twelve admitted free of charge. Likewise we offer an 80 space RV park including a bathroom and shower facility. 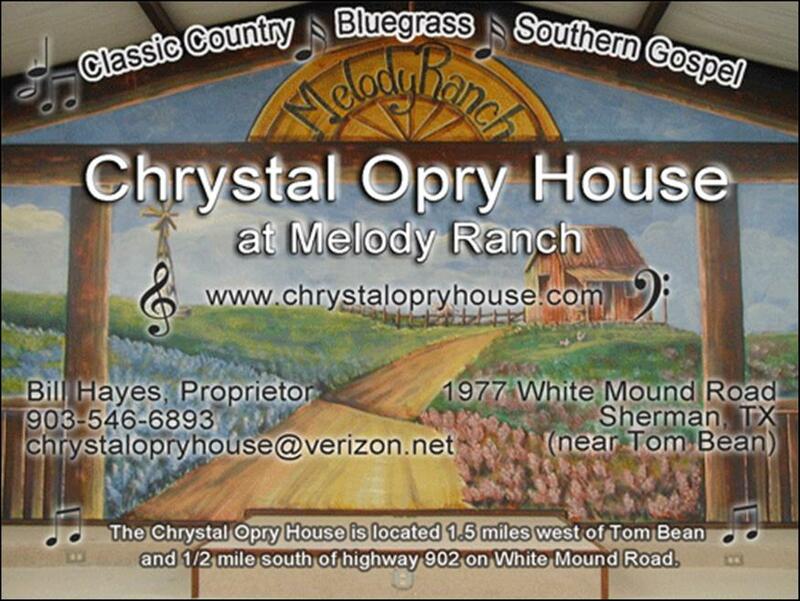 Both Chrystal Opry and the Melody Ranch RV Park are available for rental for reunions, RV roundups, community events, church groups or wedding receptions. Local musicians who would like to perform or sing should notify Bill or Annette Hayes.